This general/family dental practice, led by Dr. Emily Pakula in Candia, New Hampshire is both charming and modern. The office now features high-end dental equipment as well as a simple yet soothing green tone throughout. 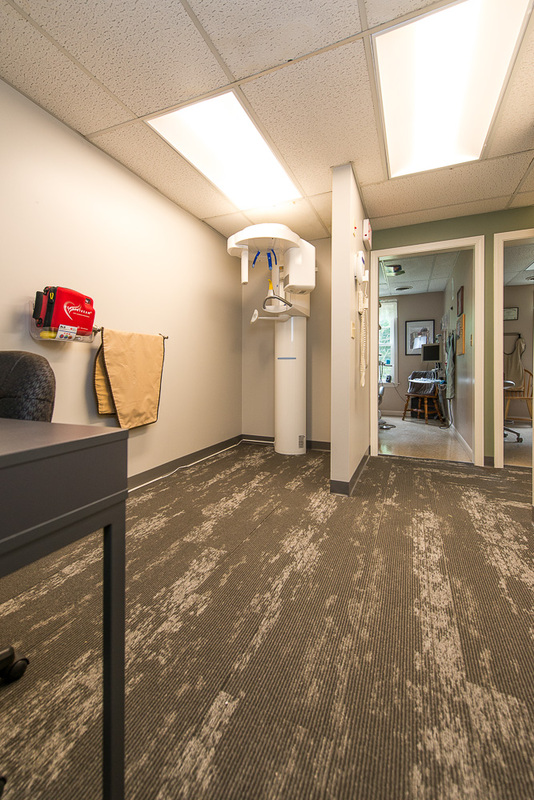 During the renovation process, we remodeled an existing reception and waiting area totaling approximately 650 square feet, as well as updated finishes in an existing bathroom. We also removed the dated features throughout the space and installed herringbone patterned carpet and ceramic tile flooring. One of the highlight features of the project is the "Firium Friendly Accent Wall" in the check in/out area, which is the wooden L shaped panel shown in the images below. Throughout the renovation process, the office was open for business!